The feast of the Nativity held a special place in the hearts and lives of Italian nuns. 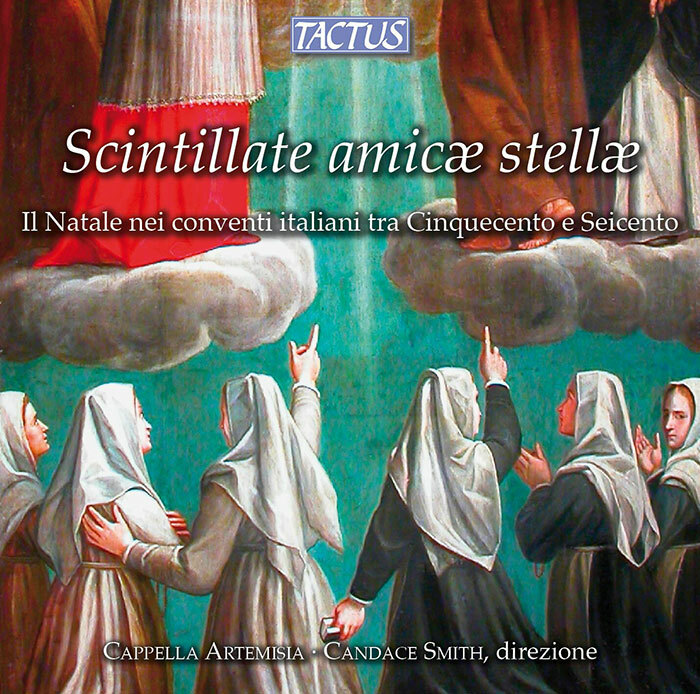 In a letter to archbishop Federigo Borromeo, a Milanese nun thanked him for his gift of a lute which “has cheered all of the nuns with me, […] and thus on the night of Holy Christmas we went to play Matins to all the nuns, singing Gloria in excelsis.” This recording presents works composed by and for these women that might have been heard or performed at Christmastime, and they call for a great variety of forces ranging from solo voices to double choirs of both singers and instruments. 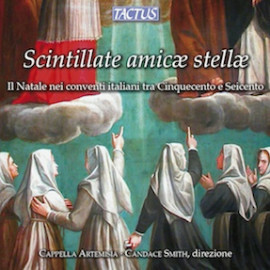 The nun composers represented include the Ursulines Maria Xaveria Perucona and Isabella Leonarda, author of 20 collections of vocal and instrumental music; Chiara Margarita Cozzolani and her conventual sister Rosa Giacinta Badalla from the renowned Milanese convent of Santa Radegonda; and Caterina Assandra, composer and dedicatee of various collections. The CD also features works by eminent male composers (Massenzio, Rota, Reina, Speer et al. ), dedicated to these remarkable cloistered musicians. The forces heard on this recording are 9 singers, 2 violins, 3 viole da gamba, transverse flute, theorbo, guitar, baroque harp, organ and harpsichord – a total of 18 musicians.